Make your patchwork. This is a great block to nest your seams and not mess with open seams, if you prefer. 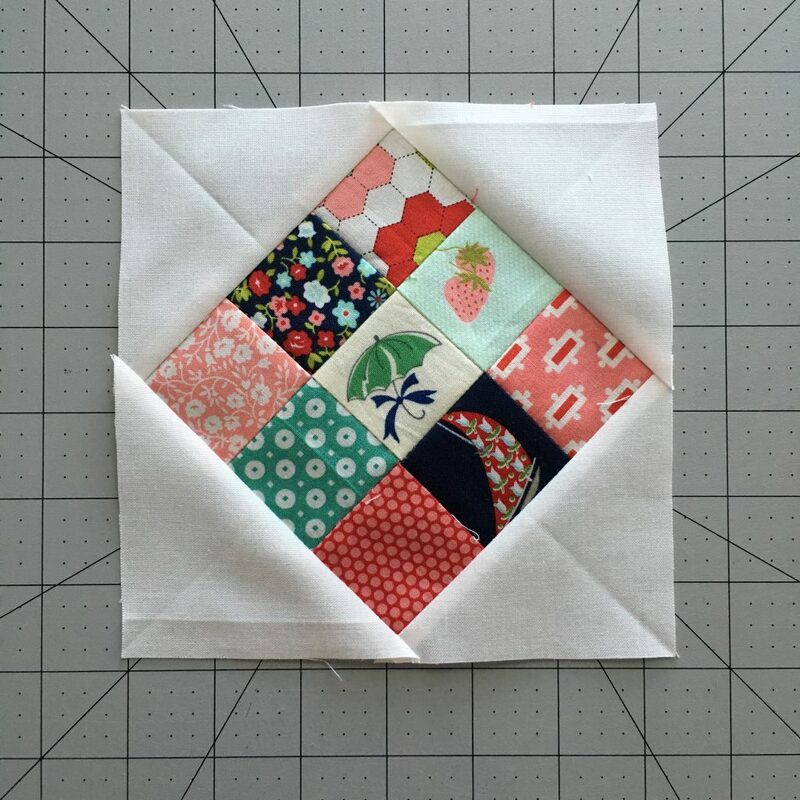 Once you have your patchwork constructed and pressed, add on the triangles to the corners, just like you do in a raspberry kiss block (add on to two opposing sides, press, then add on to the other two sides). Using a different color or one print in place of white would be lots of fun!